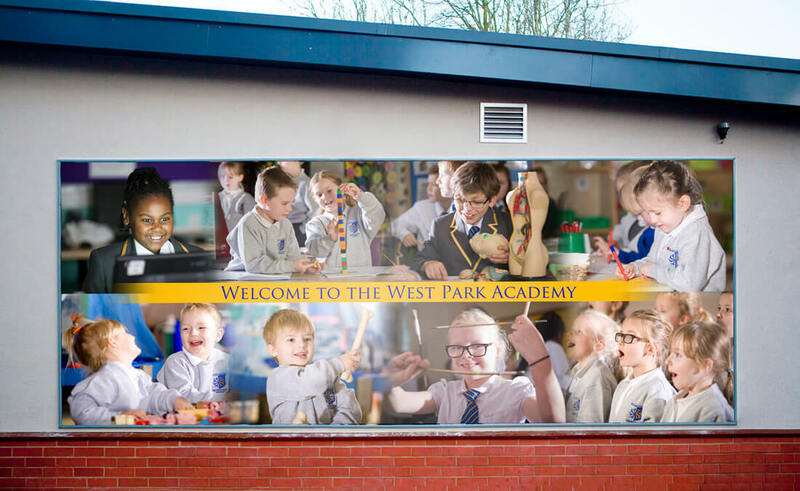 We apply imaginative photography and design to our modular school display systems to create an impressive impact to both interior and exterior spaces. All systems have a quick release system to enable graphics to be easily replaced. 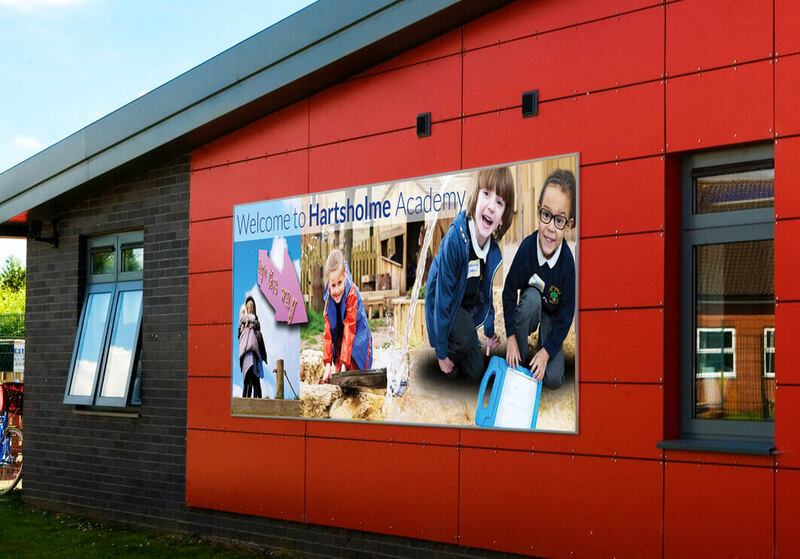 Graphics can be produced to absolutely any size and we supply a full installation service. We apply imaginative photography and design to our modular display systems to create an impressive impact to both interior and exterior spaces. All systems have a quick release system to enable graphics to be easily replaced. Graphics can be produced to absolutely any size and we supply a complete design and installation service. Our range of interior displays can be printed on a variety of materials including vinyl, cloth and canvas, with graphics mounted flush or framed with light-weight aluminium or wooden frames or placed in relief from walls. 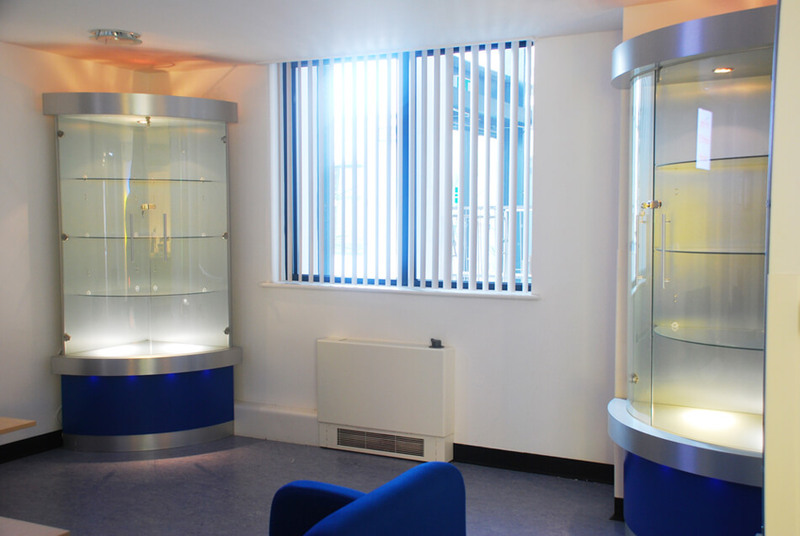 Bespoke sized displays can be produced to suit available spaces. Framed stretched vinyl and canvas displays are suitable for exhibiting outside and indoors. The graphic is continuous without any strips or joints. The frames are made from aluminium and there are powder coated colour options. The graphic can be released from the frame and easily replaced. We provide the school location photography where required, design, artwork and installation service. Fo slightly smaller displays, stretched canvas or vinyl framed displays provide a convenient option for easily replacing graphics and an alternative to joining strips to make a continuous graphic. There are options for frame finishes with plain aluminium and powder coated coloured aluminium. 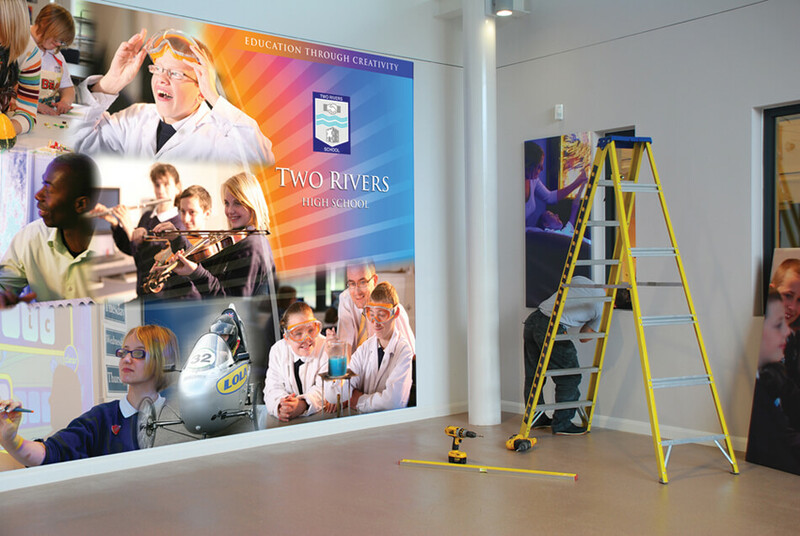 School Wallpaper Display can bring a real ‘Wow Factor’ to otherwise often bland looking corridor walls and provide a source of inspiration to pupils and students. It is simply the same as having your own bespoke designed wallpaper. We use a particular brand of wallpaper that has double sided adhesive and can be removed or replaced without damaging walls. One of the main advantages of Wallpaper Display is that it can easily be fitted around light switches and other obstacles upon a wall. It can also be wrapped around corners and above doorways to provide a seamless, continuous graphic and create a powerful impression. Our designers are meticulous about every detail of the design and we provide a professional installation service to ensure a faultless and precision finish. 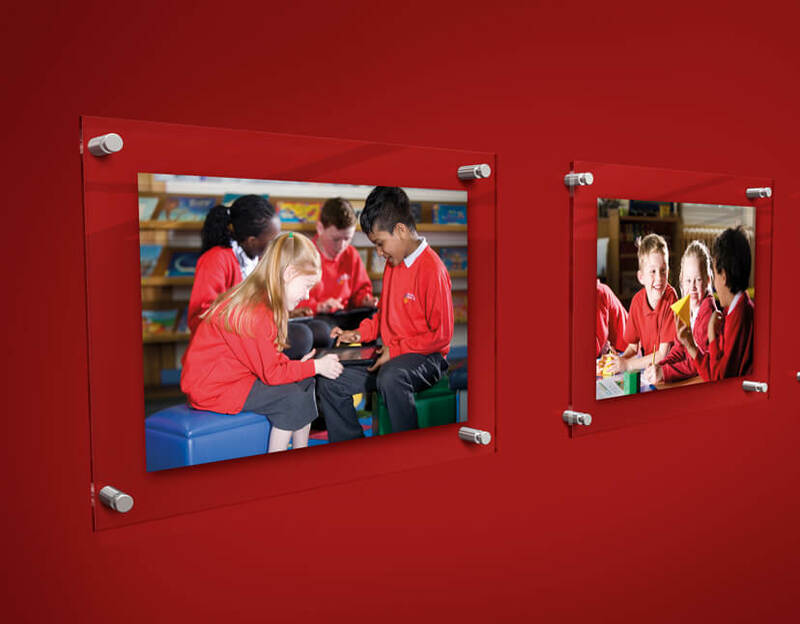 Smart Acrylic Wall Photo Displays with brushed steel fixings offer a very stylish way to reflect curriculum activity in chosen areas around your school. The fixings facilitate easy replacement of photos. Smart Displays are available in any bespoke size and a variety of acrylic thickness. Why not book a photographic session with us and we can supply your Smart Displays within a week after photography? View more about our school photographic service. This range of LUXURY concentric school display units are designed to our specifications and engineered by our trusted suppliers to order. We use a variety of traditional and modern materials including solid wood, veneers, stainless steel, plastics, laminates and both straight and curved tempered (reinforced) glass. Produced exclusively by the Wilson Design Group. The base is available in a variety of wood finishes and bespoke solid colours. More About School Display and Signage?